The new 100TB drive aims to reduce server space and energy consumption. The world has a new record holder for largest SSD with the unveiling of Nimbus Data's new 100TB drive that comes in a 3.5-inch SATA form factor. Samsung previously held the record with its 30TB 2.5-inch SSD designed for enterprise customers trying to migrate from mechanical drives. 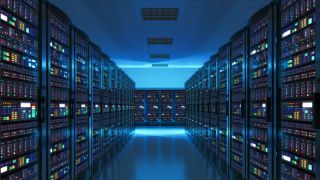 However, Nimbus Data's new drive is intended for servers where it will allow businesses to store up to 100 petabytes in a single rack which will help free up space in server rooms. The company's 100TB SSD is also the world's most energy efficient solid state drive as it draws as little as 0.1 Watts per TB. This is 80 to 90 per cent lower than competitor's drives and will help businesses reduce cooling costs in server rooms. Nimbus Drive is also offering a five-year warranty with each ExaDrive DC100 that will cover unlimited Drive Writes Per Day (DWPD) compared to the standard two to five DWPD offered by its competition. Though pricing has yet to be announced, Nimbus Drive says the ExaDrive DC100 will be generally available this summer.